Plot synopsis: A man hires a killer to murder his business partner, but his attempt to establish an alibi for the time of the killing soon causes matters to spiral out of control. Review: This is an enjoyable episode which lives up to Suspense's title very well: it genuinely is suspenseful (which isn't always the case with the series, unfortunately). One of the potential benefits of having only thirty minutes to work with in telling a story is that it forces writers to waste no time with unnecessary set-up or superfluous background, and in this case, the episode cuts to the chase right from the start. We are immediately plunged into the middle of a murky plot featuring embezzlement, deceit and murder, as the protagonist seeks to employ the services of a hitman to eliminate his business partner. In this introduction, there is some well-crafted, and performed, dialogue between the pair, which reveals very clearly the dubious characters of the two men planning to commit murder. Yet it is the scenes that follow that truly make the episode, as the main character becomes increasingly desperate and frantic as his attempts to manufacture an alibi are repeatedly thwarted, with real suspense created over whether or not he will succeed. The ending, too, is satisfying. Do the characters get their just deserts? Listen to find out! Plot synopsis: After the art director of an advertising agency falls to her death from her office window, a highly ambitious woman persuades the company's boss to give her the vacant job - but is there more going on at the agency than she initially realizes? Plot synopsis: A man returning home witnesses a hit-and-run killing, before later discovering the bloody license plate of the car responsible outside his front door, and afterwards he is persuaded by a friend to try to blackmail the car's owner for its return. Review: This is an enjoyable episode, though not one that leaves listeners with much to think about after it has finished. The characters are all stereotypes, and talk almost entirely in clichéd vernacular; and while the script is proficient, it never really sparkles. Yet it's a fun story, with some neat twists and turns. Plus, there's a good jazz score, which complements the breezy tone. Plot synopsis: A man is slowly worn down by his overbearing wife, whose incessant nagging drives him to breaking point. Review: Walter Kinsella plays the ultimate henpecked husband in this episode about a domineering wife and the lengths to which her spouse will go to escape her nagging. This may suggest that the story is quite an old-fashioned one, and in terms of its depiction of married life in many respects it is. However, what makes this a much better episode than it seems initially it is going to be are two aspects. First, there is the performance by Betty Garde as the wife, who clearly revels in portraying a woman who is an absolute monster. She has great fun delivering delicious lines of withering dialogue, which slowly erode her poor husband's patience and sanity. Second, the ending comes as quite a surprise - listeners will no doubt be expecting some sort of dramatic, possibly violent, ending, but I for one did not guess the one we are given. Overall, not too bad for what was Suspense's penultimate episode. Plot synopsis: On a stiflingly hot summer's day, an artist experiences a strange series of events that appears to portend a decidedly dark fate lies in store for him. Based on a short story by W. F. Harvey, first published in his short-story collection Midnight House and Other Tales, in 1910.
Review: This is a supernatural tale in the same tradition as those of writers like M. R. James and Walter de la Mare, and is one of W. F. Harvey's most famous. The power of the story lies in its carefully crafted atmosphere, the creeping sense of menace and dread that it creates. The heat of the title is like a blanket, covering the world in a shroud of evil. Little is explained or made explicit; instead, the episode is all about signs and forebodings. Everything in the story - from the picture the main character sketches of a criminal in the dock, to the tombstone being carved by the stonemason, to the passage from The Prophet he is asked to read - points to his ultimate destiny. The reason this is such a chilling episode is that there appears to be no possibility of escape for the artist from the future he is moving inexorably towards, no hope that resistance is anything but futile. What makes it also a subtle, sophisticated tale is that the climax is left open-ended, forcing listeners to imagine for themselves what its conclusion will turn out to be. 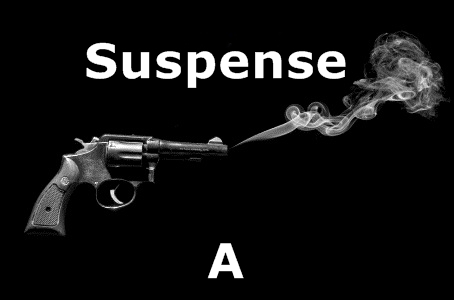 One of Suspense's most memorable episodes.